How many funnels did the Titanic have? Titanic required only 3 functional funnels, fourth was added to make the ship look more impressive. The Olympic-class liners Olympic, Titanic and Britannic were all equipped with 29 triple-furnace Scotch-type boilers to power the engines, 25 of which were double-ended, which meant that when all of the ship’s boilers were fired, there were 162 individual fires burning. These fires produced large quantities of smoke and fumes which had to be discharged high above the ship. To provide this, each of the three vessels were equipped with four large funnels. Because the first 3 funnels where more than sufficient for ship’s demands, funnel No. 4 did not carry fumes and was there almost purely for aesthetic reasons, though it did serve for ship’s ventilation. 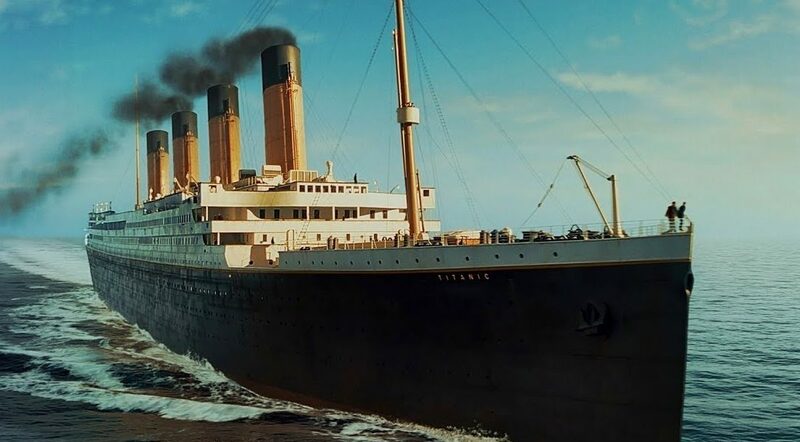 Due to the fact that this information is largely unknown, there have been many misconceptions where Titanic is illustrated with 4 smoking funnels.